Recently, the Office of the United Nations High Commissioner for Human Rights (OHCHR) released a report on the situation of human rights in Kashmir-encompassing both Indian-Administered and Pakistan-Administered Kashmir. The 49-page report, developed over the period of two years from June 2016 to April 2018, has not gone down well with the Indian government. In its statement at the 38th session of the Human Rights Council, India launched a strong protest against the report and had accused it of promoting a false narrative and distorting the truth. What does the report say? The report has focused on the developments in the Indian-administered Kashmir (IaK) from June 2016 to April 2018 and has presented a general assessment of human rights in the Pakistan-Administered Kashmir (PaK). 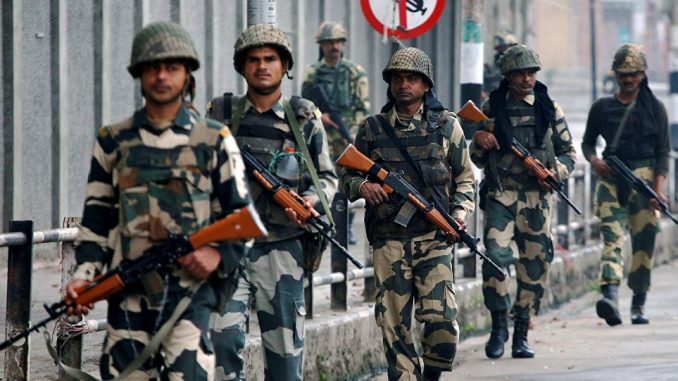 The report has urged India to ‘urgently’ repeal the controversial Armed Forces (Jammu and Kashmir) Special Powers Act, 1990 and criticised the security forces for using pellet guns as a measure of the crowd control. It has insisted the Indian government amend the other contentious law, Jammu and Kashmir Public safety act, 1978 to ensure its compliance with International human rights law. The report has also touched upon the cases of abuses committed by ‘armed groups’ against the Kashmiri Pandits which led to their exodus since the late 1980s. In the clause 125 of the report, it has admitted that there are no confirmed specific claims of sexual violence within the time frame, but it has mentioned the decades’ old case of Kunan-Poshpara where the Indian soldiers allegedly gang-raped 23 women of these twin villages. The OHCHR has also recommended the authorities to investigate the cases of alleged enforced disappearances and requested the government to facilitate the visit of the Working Group on Enforced or Involuntary Disappearances. What are the problems with the report? India has already rejected the report calling it “fallacious, tendentious and motivated”. It was expected from the government to deny a report on Kashmir, considering it cogitates the matter of Jammu and Kashmir as a bilateral dispute, and claims the entire area, including PoK, as its integral part. However, the report itself has many factual errors. For instance, the report has been titled as “Report on the Situation of Human Rights in Kashmir: Developments in the Indian State of Jammu and Kashmir from June 2016 to April 2018, and General Human Rights Concerns in Azad Jammu and Kashmir and Gilgit-Baltistan”. But the title itself goes against the accepted terminology of calling the regions Indian-administered Kashmir (IaK) and Pakistan-administered Kashmir (PaK). Secondly, in clause 30 of the report agrees that “the quantity and quality of information available on Indian-Administered Kashmir contrast significantly to Pakistan-Administered Kashmir” and the situation has been reported better in the IaK than PaK. It is unfair to club both the regions in the same title of the report. Moreover, in explaining the methodology, OHCHR has primarily relied on ‘remote monitoring’ for its information and has agreed that it was not possible for it to directly verify the allegations. The report has been surprisingly silent on the issue of cross-border terrorism, considering its role in the violence and has presented the violence as primarily between the civilians and the forces. Shockingly, the report has called UN-designated terrorist organisations such as Jaish-e-Mohammad (JeM) and Lashkar-e-Toiba (LeT) as ‘armed groups’ multiple times, whereas the terrorists heading these organisations have been called as the “leaders”. This has been rightly pointed out by Rajiv K Chander, the permanent representative of India in UN, and has accused the report of legitimising terrorism for this departure in the nomenclature. Zeid Ra’ad Al Hussein, the High Commissioner for Human Rights, will demit his office on August 31. By presenting such tendentious report and ignoring the menace of terrorism in the valley, Zeid has lost the opportunity to highlight the ground reality in the valley, and by calling terrorists as leaders of the armed groups, he has indeed legitimised terrorism. The OHCHR’s report raises more questions on the impartiality of the already defunct organisation.